A voluntary pledge by the UK’s drinks industry and government to reduce alcohol-related harm has actually “worsened the health of the nation”, a damning new report has claimed. A report produced by the Institute of Alcohol Studies (IAS), titled Dead on Arrival? Evaluating the Public Health Responsibility Deal for Alcohol, offers a scathing criticism of the four-year Public Health Responsibility Deal for Alcohol, which was first introduced in 2011. The deal is a voluntary partnership between the UK government, commercial drinks groups, academics and NGOs to reduce alcohol-related harm. As part of the project, the government worked with the alcohol industry and partners to create 11 collective pledges and 10 individual pledges to support a culture of responsible drinking. Dead on Arrival? identifies a number of “failings” of the deal and claims that it delayed the implementation of other “evidence-based” initiatives. 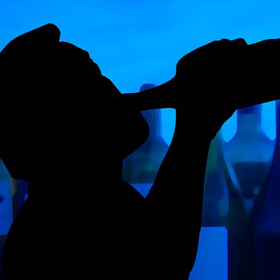 According to the IAS, the Responsibility Deal has not been endorsed by academics or the public health community and has pursued initiatives “known to have limited efficacy” in reducing alcohol harm. Evidence of the effectiveness of the deal is “limited and unreliable” due to “ambiguous goals and poor reporting practices”, the report states, adding that implementation had failed to “live up to the spirit” of the pledges. Katherine Brown, director of the Institute of Alcohol Studies, called the deal “laughable” and criticised it for delaying the implementation of measures such as minimum unit pricing. “It’s time the responsibility deal for alcohol was put to bed and the government revisited some of the real evidence-based policies promised in the 2012 alcohol strategy. “With alcohol costing our society £21 billion each year, we can’t afford to keep prioritising the needs of big business over public health”. In addition, IAS claims the drinks industry has “generally failed” to meet its targets set under the deal. “The UK is amongst the sick men of Europe when it comes to rates of alcohol related liver disease, which are far worse than many wealthy countries,” said professor Sir Ian Gilmore, chair of the Alcohol Health Alliance. However, speaking with The Guardian, industry watchdog the Portman Group has hit out at the report for ignoring government data that shows the achievements of the deal, and repeating “factually incorrect” claims. The UK drinks industry announced last year that it had removed one billion units of alcohol from the market, however the overall abv of spirits continued to increase. To read the IAS’s full report, click here.